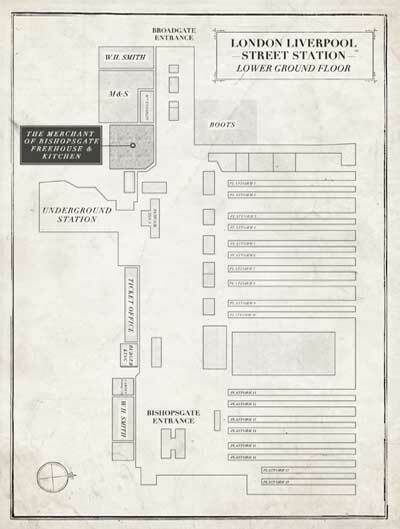 The Merchant of Bishopsgate Freehouse & Kitchen is situated, in the lower concourse of London Liverpool Street Station. It is just past Platform 1 and the Underground entrance on the way out via Broadgate. Click here for location in Google Maps.